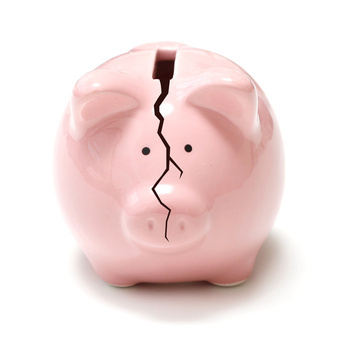 Are You Breaking Your Content Marketing Budget? As with all the other facets of running your business, content marketing is really all about ROI. Ultimately, it’s successful when it brings in more money than it takes away; in other words, the sales or buzz you generate from content marketing needs to be worth more than whatever you’re paying to have that content marketing done. There are a couple of ways in which content marketing can be ineffective, then, and the most obvious is that you simply don’t bring in the leads and conversions you need to make it worthwhile. More insidious is the possibility that you may be getting good results, but spending too much time and money to do it—ultimately blowing up your margins. Now, make no mistake about it: Content marketing is an investment. It’s not going to generate results overnight, and it’s not going to be effective unless you devote some real resources to it. At the same time, prudence is important—and while we don’t recommend cutting corners, we do recommend being strategic. Being on more platforms than you truly need. Grammar Chic, Inc. has previously blogged about the pros and cons of being on Instagram—one of a few examples of social platforms that not every company needs. Yes, you want to have a presence on Twitter, Google+, and Facebook, almost without exception. Something like Pinterest or Vine, on the other hand, may or may not benefit your brand, just depending on what you do. No need to spend money just to “be there,” when your clients and potential clients aren’t there themselves. Not being organized. What’s your content marketing chain of command? If you don’t have clearly defined responsibilities, then you may let certain things fall through the cracks—but you may also end up duplicating work or being inefficient with your internal processes. Sending out too many press releases. Grammar Chic sends out a press release every week, because we genuinely have that much newsworthy stuff happening; your company may only have news to report every month or every quarter. Spending money on a weekly press release, just for the sake of doing it, will get awfully expensive awfully fast, and it may or may not yield a positive effect. Not monitoring your results. Last but not least: If you’re not tracking your results and evaluating the analytics, then you frankly have no idea whether your content marketing is truly effective or not—and for all you know, you could be wasting a ton of time and money with ineffective strategies. Content marketing is an important investment—and while you can’t be stingy with it, you also shouldn’t be careless. To learn more, contact the Grammar Chic, Inc. team today: Visit http://www.grammarchic.net, or call 803-831-7444.